Another new turn based iOS game. 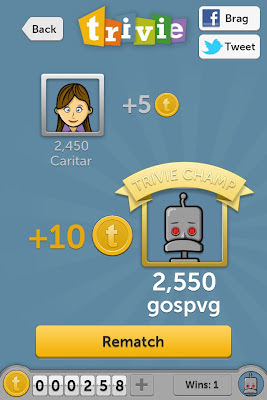 Trivie is a trivia quiz game where you have to answer questions in a selected category or like me just go random. 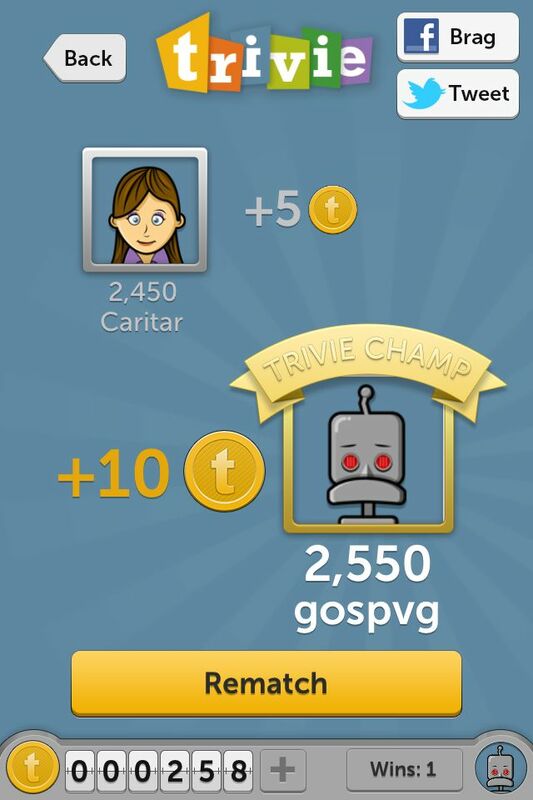 A few odd things like you use the coins collected to only change the category or unlock more avatars. Will see how this develops into something more meaningful. Anyhow I managed to win my first game.